Designed and hand-crafted in the heart of Milan, the Adam Bench by Ruginao Interiors will add glamour to any bedroom or dressing room suite. Upholstered in the finest Tessuto fabric and Pelle leather, the curved rectangular form features button detailing and piping around the edge of the seat. Filled with the softest padding, the seat provides ultimate comfort for getting ready and resting at the end of a long day. 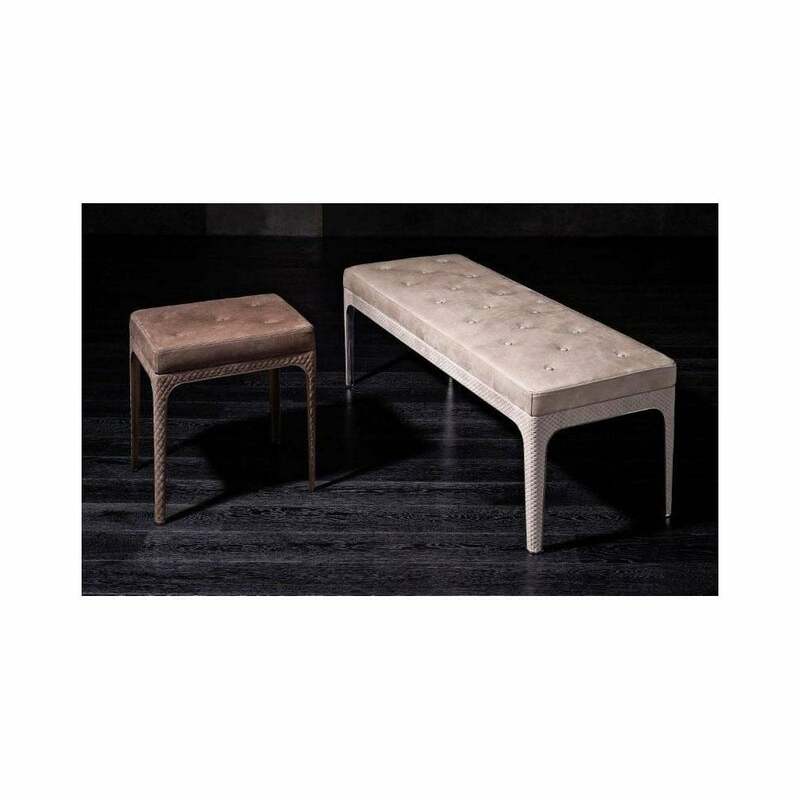 Slim and elegant legs adorned with steel or bronze feet are crafted with woven material for a contrasting finish. Drape with a faux fur throw to create the ultimate luxury look. Pair with the Onda Bed for a bedroom scheme that draws inspiration from the finest hotels in Italy. Available in a range of colours and finishes, make an enquiry for more information.